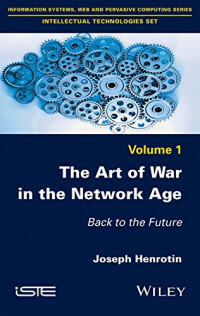 Previous studies have looked at the contribution of information technology and network theory to the art of warfare as understood in the broader sense. This book, however, focuses on an area particularly important in understanding the significance of the information revolution; its impact on strategic theory. The purpose of the book is to critically analyze the contributions and challenges that the spread of information technologies can bring to categories of classic strategic theory. In the first two chapters, the author establishes the context of the book, coming back to the epistemology of revolution in military affairs and its terminology. The third chapter examines the political bases of strategic action and operational strategy, before the next two chapters focus on historical construction of the process of getting to know your opponents and the way in which we consider information collection. Chapter 6 returns to the process of “informationalization” in the doctrine of armed forces, especially in Western countries, and methods of conducting network-centric warfare. The final chapter looks at the attempts of Western countries to adapt to the emergence of techno-guerrillas and new forms of hybrid warfare, and the resulting socio-strategic outcomes. As countless failures in information technology and Web-based systems are caused by an incorrect understanding of knowledge sharing, an increased awareness of modern, fundamental industry concepts becomes crucial to Web and interface developers.